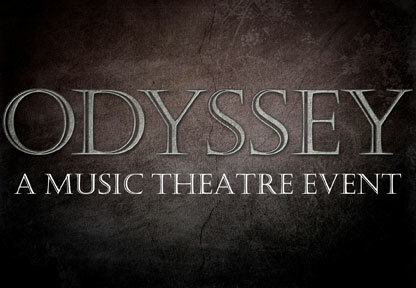 Odyssey is a music theater event commissioned by The Old Globe in celebration of its 75th Anniversary. Director Lear deBessonet and writer Todd Almond's (Girlfriend, We Have Always Lived in the Castle, On the Levee) have reimagined Homer's epic poem as seen through the lens of contemporary San Diego. 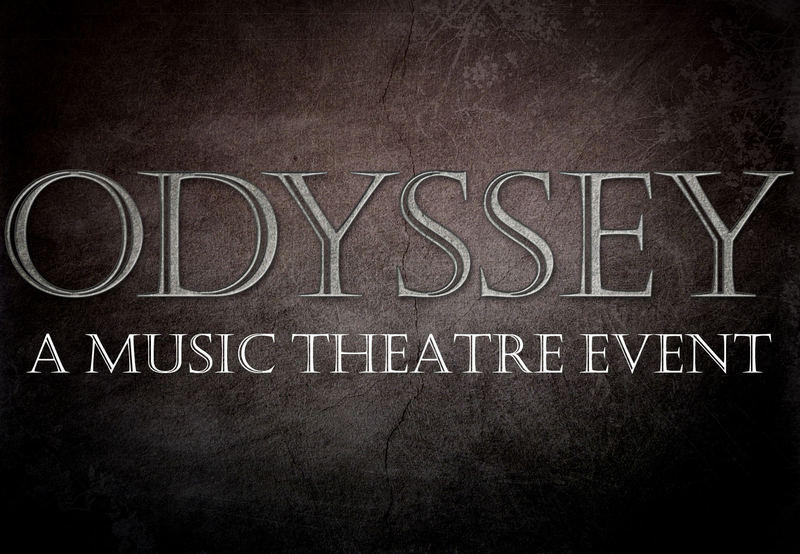 Odyssey chronicles the trials and adventures that the ancient Greek hero Odysseus faces on his long journey home from the war at Troy. Odysseus finally returns home disguised as a beggar and must win back his wife, Penelope, and take revenge on the suitors who have been circling her in his absence. 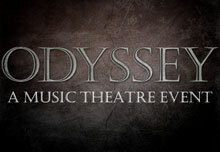 Odyssey will be performed by both professional artists and over 200 members of the San Diego community as part of the Globe's Southeastern San Diego Residency Project in the outdoor Lowell Davies Festival Theatre. 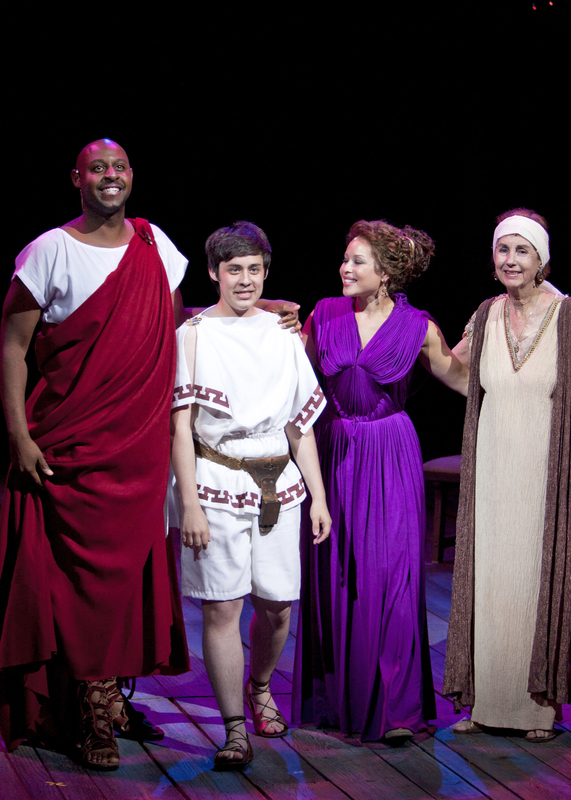 (front, from left) Alex Monge as Telemachus, Alvin Crawford as Odysseus, Shelley Thomas as Penelope and Darlene Gould Davies as Eurynome with the cast of the World Premiere of Odyssey, conceived and directed by Lear deBessonet with music, lyrics and book by Todd Almond, Sept. 30 - Oct. 2, 2011 at The Old Globe. Photo by Jeffrey Weiser. The cast of in the World Premiere of Odyssey, conceived and directed by Lear deBessonet with music, lyrics and book by Todd Almond, Sept. 30 - Oct. 2, 2011 at The Old Globe. Photo by J. Katarzyna Woronowicz. (front, from left) Michael Garcia as the Prince and Alvin Crawford as Odysseus with members of San Diego Youth Symphony and Conservatory in the World Premiere of Odyssey, conceived and directed by Lear deBessonet with music, lyrics and book by Todd Almond, Sept. 30 - Oct. 2, 2011 at The Old Globe. Photo by J. Katarzyna Woronowicz. Alvin Crawford as Odysseus and Shelley Thomas as Penelope in the World Premiere of Odyssey, conceived and directed by Lear deBessonet with music, lyrics and book by Todd Almond, Sept. 30 - Oct. 2, 2011 at The Old Globe. Photo by J. Katarzyna Woronowicz. 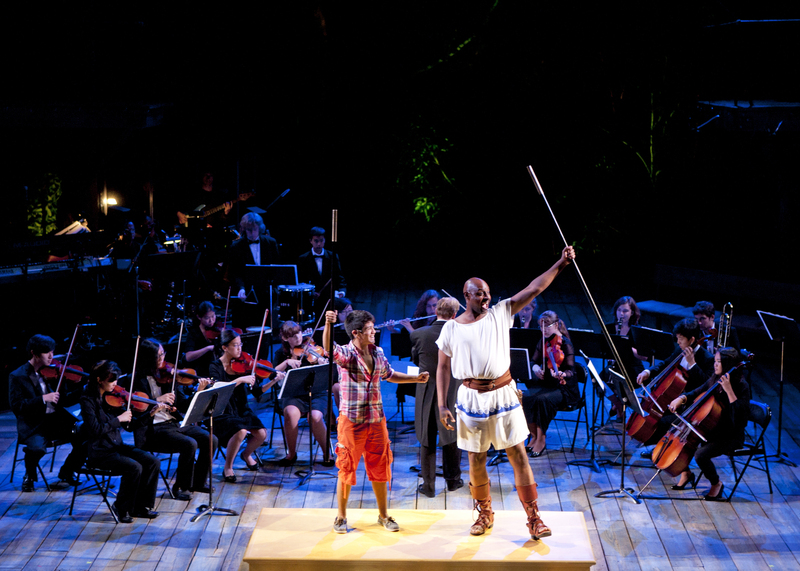 (from left) Alvin Crawford as Odysseus, Alex Monge as Telemachus, Shelley Thomas as Penelope and Darlene Gould Davies as Eurynome in the World Premiere of Odyssey, conceived and directed by Lear deBessonet with music, lyrics and book by Todd Almond, Sept. 30 - Oct. 2, 2011 at The Old Globe. Photo by J. Katarzyna Woronowicz. 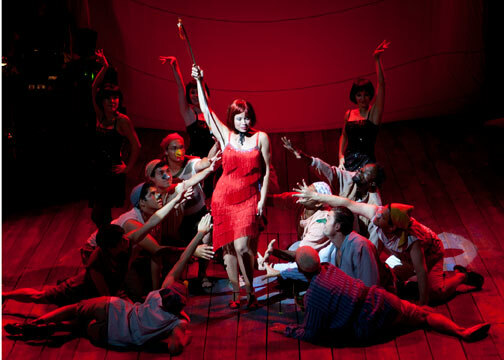 Shelley Thomas as Circe in the World Premiere of Odyssey, conceived and directed by Lear deBessonet with music, lyrics and book by Todd Almond, Sept. 30 - Oct. 2, 2011 at The Old Globe. Photo by Jeffrey Weiser. Alvin Crawford as Odysseus (left), the Globe Guilders as the Sirens (top) and the cast of the World Premiere of Odyssey, conceived and directed by Lear deBessonet with music, lyrics and book by Todd Almond, Sept. 30 - Oct. 2, 2011 at The Old Globe. Photo by J. Katarzyna Woronowicz. 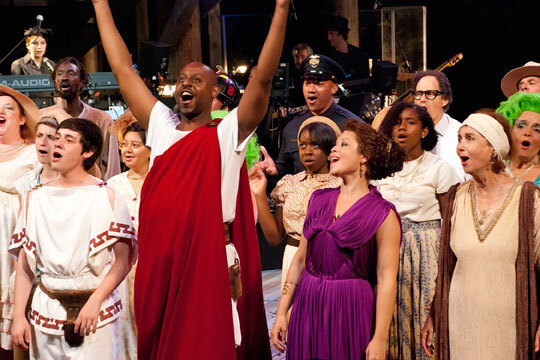 Todd Almond (center) with the cast of the World Premiere of Odyssey, conceived and directed by Lear deBessonet with music, lyrics and book by Todd Almond, Sept. 30 - Oct. 2, 2011 at The Old Globe. Photo by Jeffrey Weiser. 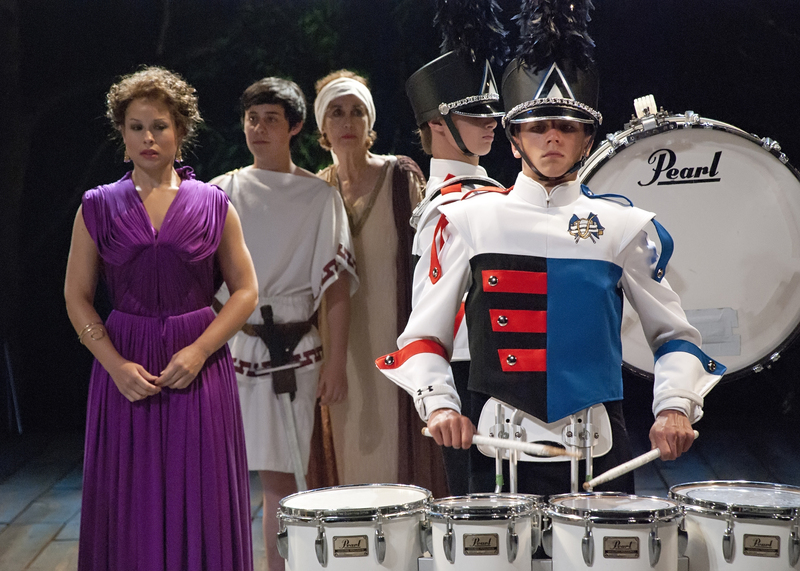 (from left) Shelley Thomas as Penelope, Alex Monge as Telemachus, Darlene Gould Davies as Eurynome and members of Valhalla High School Percussion in the World Premiere of Odyssey, conceived and directed by Lear deBessonet with music, lyrics and book by Todd Almond, Sept. 30 - Oct. 2, 2011 at The Old Globe. Photo by Jeffrey Weiser. 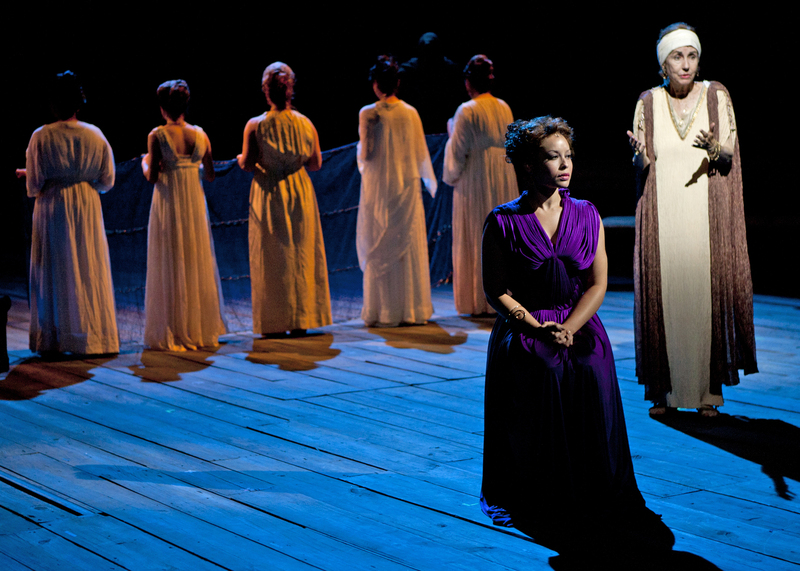 Shelley Thomas (center) as Circe with the cast of the World Premiere of Odyssey, conceived and directed by Lear deBessonet with music, lyrics and book by Todd Almond, Sept. 30 - Oct. 2, 2011 at The Old Globe. Photo by J. Katarzyna Woronowicz. 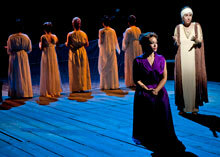 (front, from left) Shelley Thomas as Penelope and Darlene Gould Davies as Eurynome with the cast of the World Premiere of Odyssey, conceived and directed by Lear deBessonet with music, lyrics and book by Todd Almond, Sept. 30 - Oct. 2, 2011 at The Old Globe. Photo by J. Katarzyna Woronowicz. Members of Culture Shock San Diego in the World Premiere of Odyssey, conceived and directed by Lear deBessonet with music, lyrics and book by Todd Almond, Sept. 30 - Oct. 2, 2011 at The Old Globe. Photo by J. Katarzyna Woronowicz. 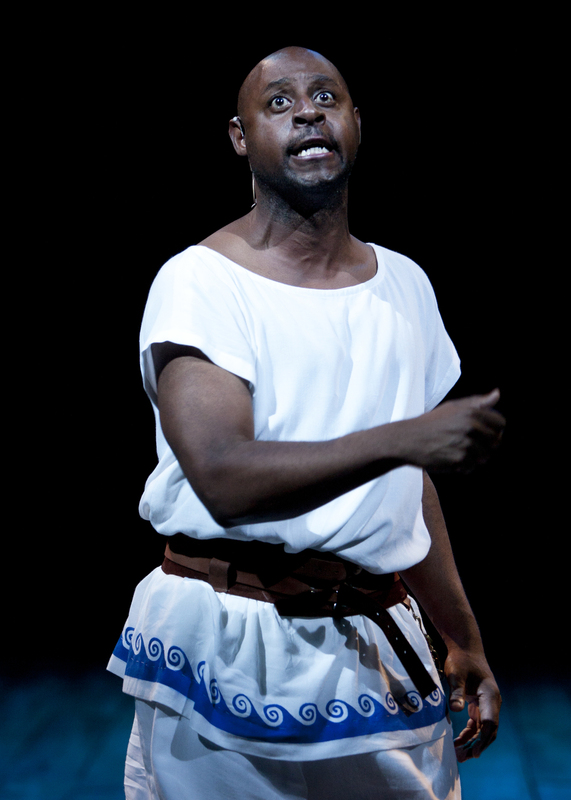 Alvin Crawford as Odysseus in the World Premiere of Odyssey, conceived and directed by Lear deBessonet with music, lyrics and book by Todd Almond, Sept. 30 - Oct. 2, 2011 at The Old Globe. Photo by J. Katarzyna Woronowicz. 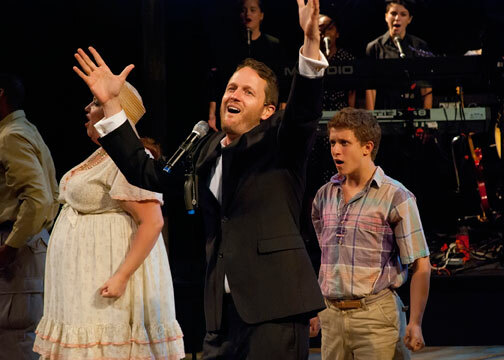 Todd Almond as The Singer in the World Premiere of Odyssey, conceived and directed by Lear deBessonet with music, lyrics and book by Almond, Sept. 30 - Oct. 2, 2011 at The Old Globe. Photo by Jeffrey Weiser. 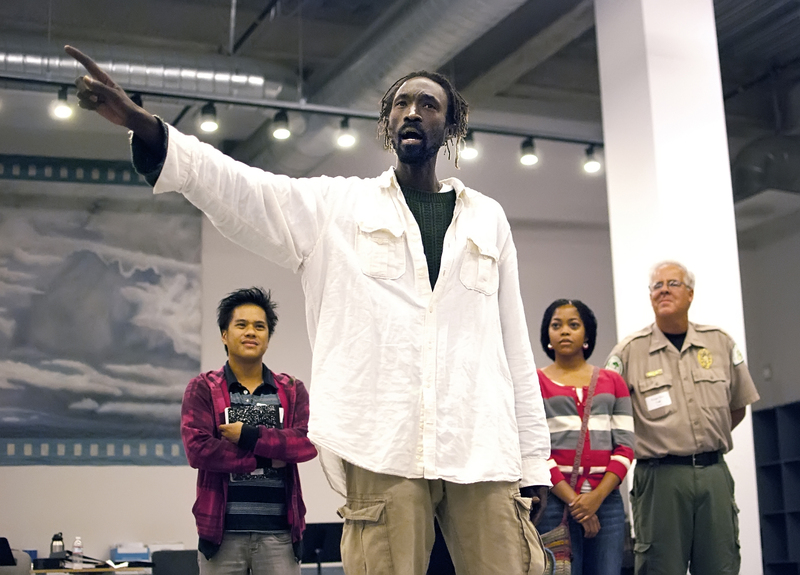 (from left) Eduard Cao, Lamine Thiam, Ashley Dixon and Kim Duclo are among the more than 200 members of the San Diego community who will appear in the World Premiere of Odyssey, a music theater event conceived and directed by Lear deBessonet with music, lyrics and book by Todd Almond, at The Old Globe Sept. 30 - Oct. 2, 2011. Photo by Jeffrey Weiser. 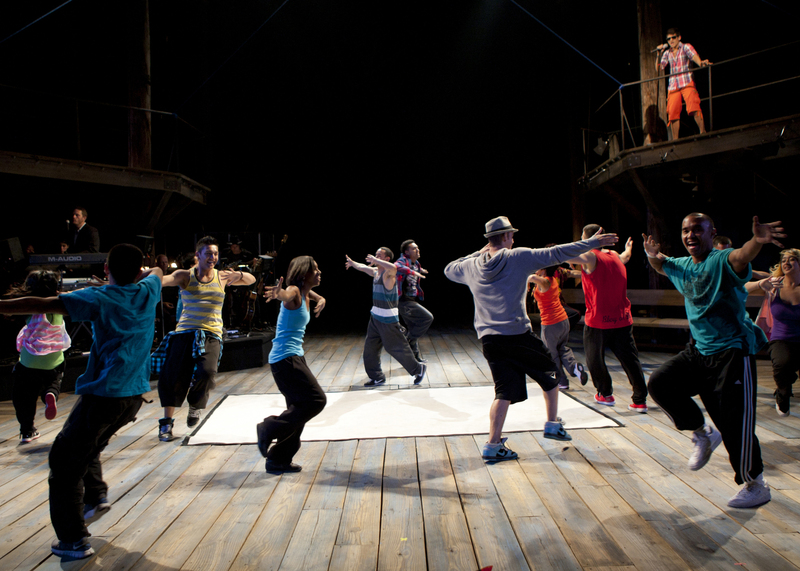 (from left) Choreographer Tony Caligagan, Davina Van Dusen, Leland Campbell and Jessica Brandon are among the more than 200 members of the San Diego community who will appear in the World Premiere of Odyssey, a music theater event conceived and directed by Lear deBessonet with music, lyrics and book by Todd Almond, at The Old Globe Sept. 30 - Oct. 2, 2011. Photo by Jeffrey Weiser. (from left) Michael Garcia, Stephanie Larson, Lavaile Cannon, Shawneka Thomas, Dalaysia Cannon, Jada Fields and Deja Fields are among the more than 200 members of the San Diego community who will appear in the World Premiere of Odyssey, a music theater event conceived and directed by Lear deBessonet with music, lyrics and book by Todd Almond, at The Old Globe Sept. 30 - Oct. 2, 2011. Photo by Jeffrey Weiser. 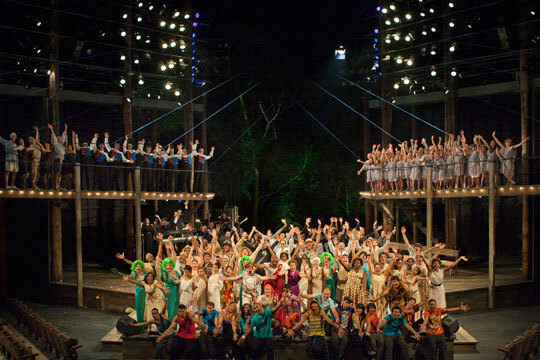 Over 200 members of the San Diego community will appear in the World Premiere of Odyssey, a music theater event conceived and directed by Lear deBessonet with music, lyrics and book by Todd Almond, at The Old Globe Sept. 30 - Oct. 2, 2011. Photo by Jeffrey Weiser. 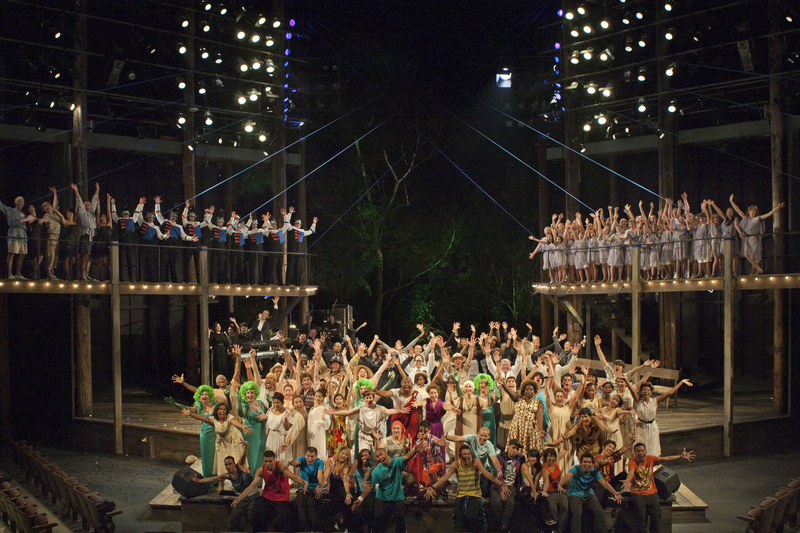 Lear deBessonet will direct more than 200 members of the San Diego community in the World Premiere of Odyssey, a music theater event conceived and directed by deBessonet with music, lyrics and book by Todd Almond, at The Old Globe Sept. 30 - Oct. 2, 2011. Photo by Jeffrey Weiser. Alvin Crawford stars as Odysseus in the World Premiere of Odyssey, a music theater event conceived and directed by Lear deBessonet with music, lyrics and book by Todd Almond, at The Old Globe Sept. 30 - Oct. 2, 2011. Photo by Jeffrey Weiser. Shelley Thomas stars as Penelope and Circe in the World Premiere of Odyssey, a music theater event conceived and directed by Lear deBessonet with music, lyrics and book by Todd Almond, at The Old Globe Sept. 30 - Oct. 2, 2011. Photo by Jeffrey Weiser. Odyssey. Illustration courtesy of The Old Globe. Composer, lyricist and playwright Todd Almond. 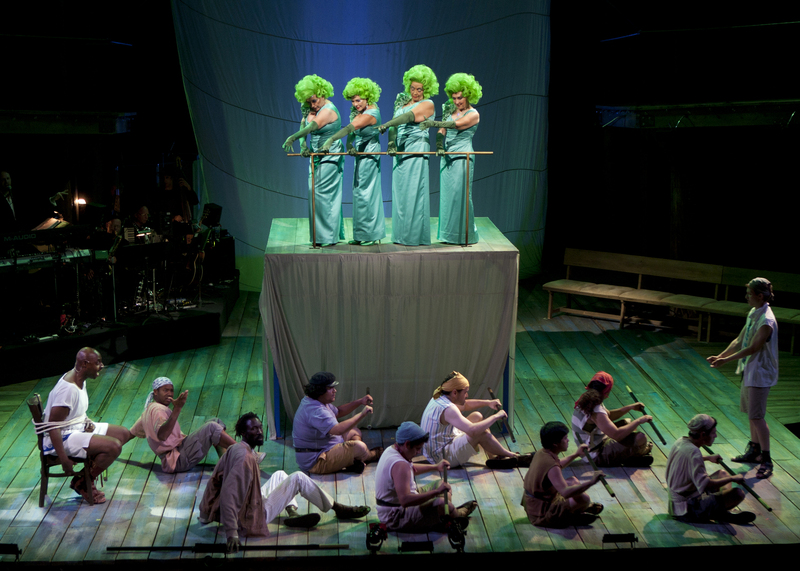 Odyssey, conceived and directed by Lear deBessonet with music, lyrics and book by Almond, will run Sept. 30 - Oct. 2 at The Old Globe. Photo courtesy of The Old Globe. Director Lear deBessonet. Odyssey, conceived and directed by deBessonet with music, lyrics and book by Todd Almond, will run Sept. 30 - Oct. 2 at The Old Globe. Photo by Dennis Kleiman. Shelley Thomas (Penelope, Circe) had the pleasure of working with Lear deBessonet and Todd Almond on the LCT3/Lincoln Center Theater production of On the Levee last summer. Some of her favorite credits include Rent (National and International Tours), Brooklyn the Musical (Broadway), Zanna, Don't! (Original Cast Recording), Sheila’s Day (Market Theatre in South Africa, Crossroads Theatre), the World Premiere of The Women of Brewster Place (Arena Stage, Alliance Theatre), The Bluest Eye (Long Wharf Theatre, Hartford Stage) and Carmen (La Jolla Playhouse). Her television and film credits include NBC’s “Kings” and the independent films New Brooklyn and Immaculate Misconception. She is also a touring background vocalist for Vanessa Williams. 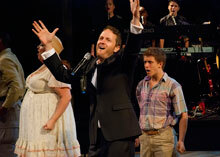 Todd Almond (Music, Lyrics and Book/The Singer) is a composer, lyricist and playwright. His musicals include We Have Always Lived in the Castle (Yale Repertory Theatre, with playwright Adam Bock, directed by Anne Kauffman), On the Levee (Lincoln Center Theater/LCT3, directed by Lear deBessonet),Girlfriend (Berkeley Repertory Theatre, with songwriter Matthew Sweet, directed by Les Waters, Bay Area Theatre Critics Circle Award for Best Book of a Musical), People Like Us (directed by Gus Kaikkonen), Ahraihsak (Theater Mitu, directed by Ruben Polendo) and Kansas City Choir Boy (directed by Sam Gold). Almond served as Music Director for the world premiere of Michael John LaChiusa's Tres Niñas, and he has written musicals for both The Juilliard School and The Graduate School of Arts and Science of New York University. 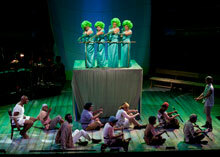 He has also music-directed and reconceived classic works, most notablyHair at the Skirball Cultural Center. 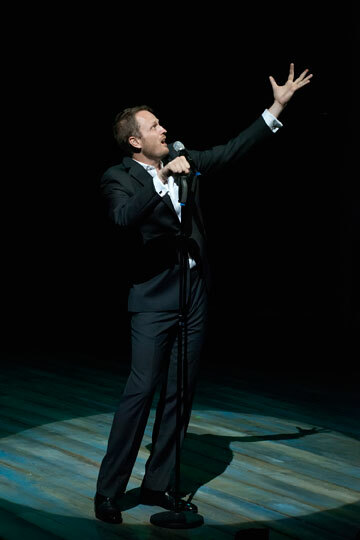 In addition to having some of the theater world's top singers perform his music (Sherie Rene Scott, Victoria Clark, Cheyenne Jackson, Kelli O'Hara, Laura Benanti and more), Almond regularly performs his own material in New York City's top venues and he recently released a CD of original songs entitled Mexico City. He has been an Artist-in-Residence at Sundance (both the Utah Playwrights Conference and the Ucross Playwrights’ Retreat), Vassar College (with New York Theatre Workshop) and The Orchard Project. Almond is currently collaborating with Warren Leight and Stafford Arima on a musical adaptation of John Knowles' novel A Separate Peace. 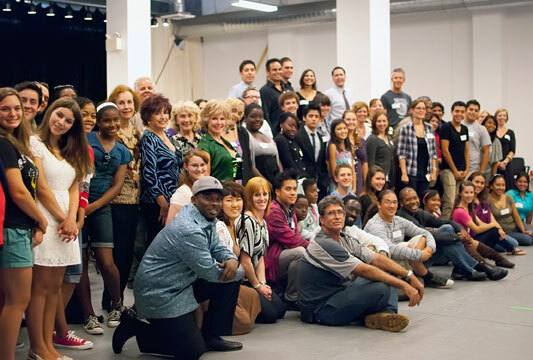 Lear DeBessonet (Director) has created large-scale site-specific theatrical events pairing artistic excellence with community organizing in New York, Philadelphia, Minneapolis, Kazakhstan and Cambodia. 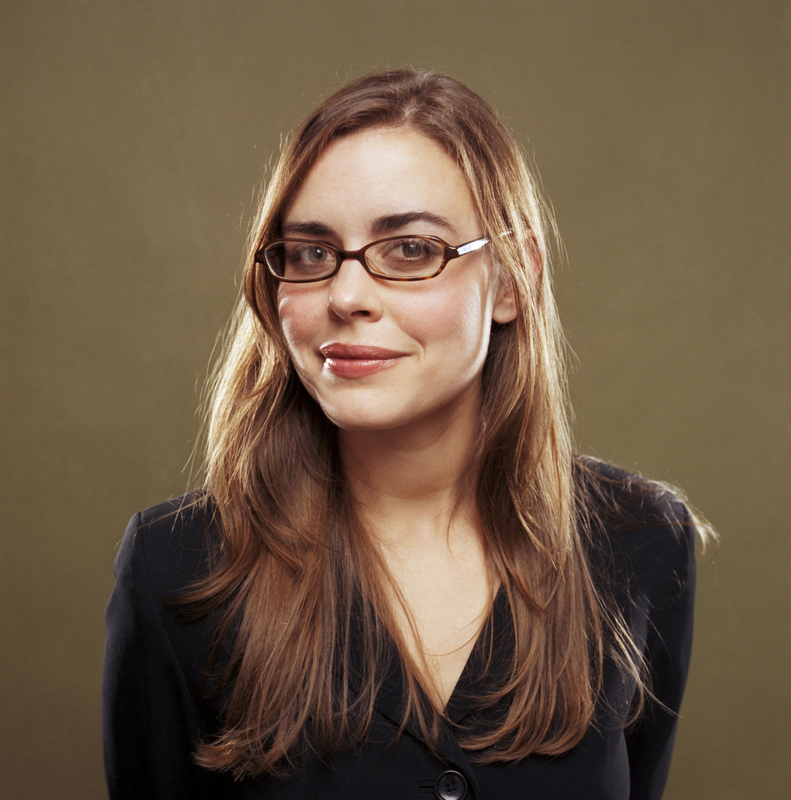 In 2006 she was named one of Time Out New York’s 25 People to Watch, and in 2008 she was honored with the first annual Presidential Award for Artistic Excellence by the Lower Manhattan Cultural Council alongside Mayor Michael Bloomberg and Edward Albee. 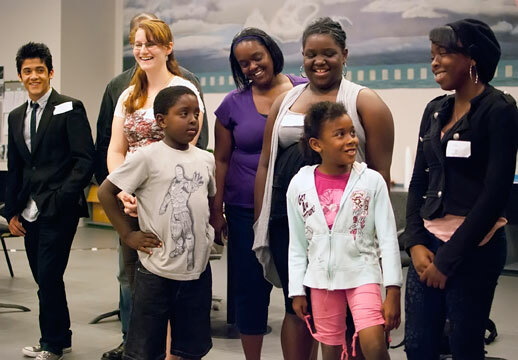 She most recently conceived and directed On the Levee for Lincoln Center Theater/LCT3 (seven Audelco nominations, Time Out Best of 2010). In May 2009, her site-specific Don Quixote, a community-based collaboration with homeless shelter Broad Street Ministry and the punk-gypsy ensemble The Psalters, premiered in Philadelphia and was named in “Best Shows of 2009” by Philadelphia Weekly. Other recent work includes a country-blues adaptation of Bertolt Brecht’s Saint Joan of the Stockyards at PS122, transfigures, produced Off Broadway by Women’s Project, and Death Might Be Your Santa Claus, a site-specific work performed at an abandoned bank next to the New York Stock Exchange. Other credits include In the Dark Ages (National Opera and Ballet Theatre of Kazakhstan), The Scarlet Letter (Intiman Theatre), Monstrosity (Thirteen Playwrights, Inc.), My Fair Lady (Ten Thousand Things), Oliver! 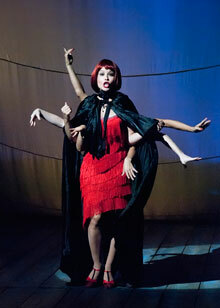 (New York University Experimental Theatre Wing) and When I Was a Ghost (Guthrie Theater). She has worked with writers Marcus Gardley, Naomi Iizuka, Deborah Stein and Lucy Thurber. She has assisted Martha Clarke, Anne Bogart, Bartlett Sher and Theatre du Soleil and is an alumna of the Drama League Director’s Project, the Women’s Project Directors Lab and the Soho Repertory Theater Writer/Director Lab. A recipient of a National Endowment for the Arts/Theatre Communications Group Director’s Fellowship, she has also acted as a visiting professor at Tisch School of the Arts at NYU. 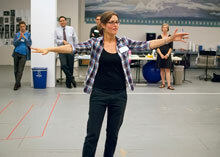 Tony Caligagan and Maria Caligagan (Movement) met in the Tony Award-winning Broadway show Jerome Robbins’ Broadway. The Broadway smash hit won six Tony Awards including Best Musical in 1989. They have also appeared in national commercials and have produced plays Off Broadway. 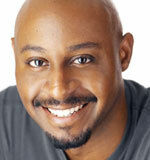 From 1988 to the present, his show choreography has been seen around the globe. They have been a part of over 1,000 corporate events, fundraisers and special event shows. Their company, Event Entertainment, has received accolades from clients, organizations and institutions. 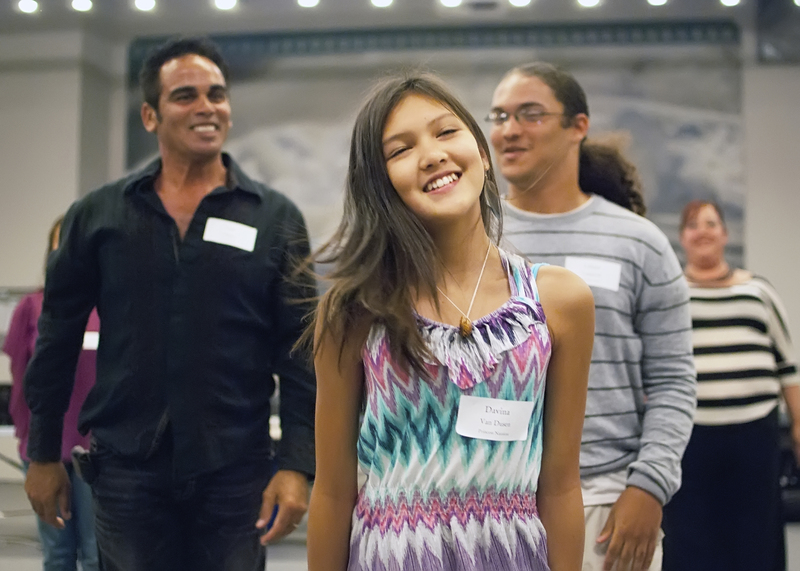 Their other Globe credits include dance sequences in Kingdom and The Taming of the Shrew in last year’s Shakespeare Festival. As directors and choreographers for Salsa Inferno Dance Company, they are entering their 17th year on faculty at UC San Diego in the Department of Theatre and Dance. Justin Townsend (Scenic and Lighting Designer) has previously worked with Lear DeBessonet on Quixote, The Scarlet Letter, Bone Portraits and Oliver! His Broadway credits include Bloody Bloody Andrew Jackson. His other New York work includes Unnatural Acts (Classic Stage Company), The Other Place (MCC Theater), Opus (Primary Stages), Speech and Debate (Roundabout Theatre Company), Eve Ensler’s The Treatment (Culture Project), Food Project (LightBox), Lucy Thurber’s Monstrosity (13P), Drums of the Waves of the Horikawa (The Theatre of a Two-Headed Calf) and Beauty on the Vine, Palace of the End and Mahida’s Extra Key to Heaven (Epic Theatre Ensemble). 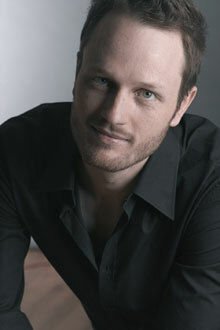 His regional credits include American Repertory Theater (Elliot Norton Award forAmanda Palmer’s The Onion Cellar), Arden Theatre Copmpany, CENTERSTAGE, Cincinnati Playhouse in the Park, Alliance Theatre, Bard SummerScape, Folger Theatre, Hartford Stage, Kirk Douglas Theatre (Ovation nominee for Apollo), La Jolla Playhouse, The Old Globe, PlayMakers Repertory Company, Portland Center Stage, Boston Court Performing Arts Center and Georgia Shakespeare. 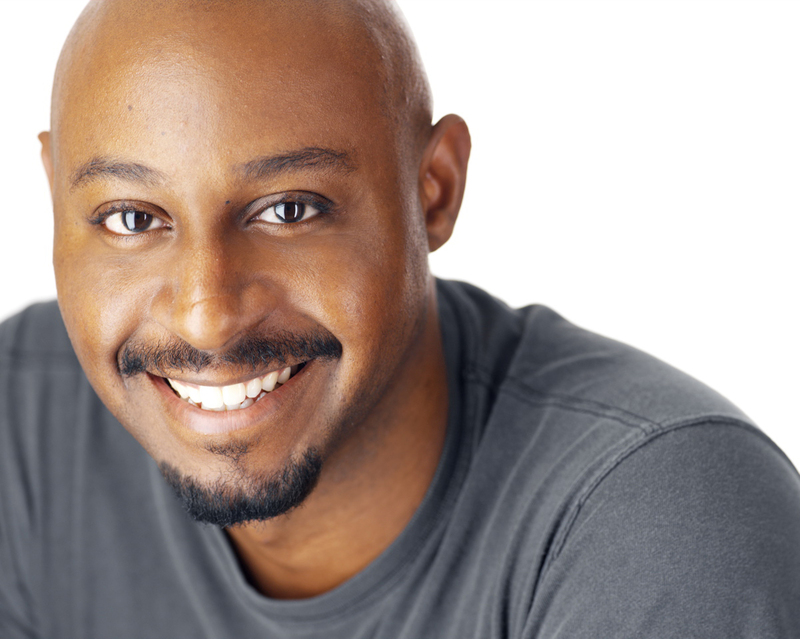 Townsend is the 2006 USITT Rising Star Award winner and is a member of the OBIE Award-winning Theatre of a Two-Headed Calf. He is an Assistant Professor at Northeastern University. Paul Carey (Costume Design) has designed costumes for opera, theater and dance both regionally and in New York City. His credits include collaborations with theater artists such as Irene Lewis, Jessi D. Hill, Adrienne Campbell-Holt, Alicia Dhyana House, Scott C. Embler and Shana Cooper, as well as choreographer Kelly Devine and opera directors Kevin Newbury, Ted Huffman and Steven Tharp. His projects with Newbury include El Niño with Dawn Upshaw, John Adams conducting (San Francisco Symphony), Ricky Ian Gordon’s Orpheus and Euridice with Elizabeth Futral and Green Sneakers for the inaugural festival season of UrbanArias in Arlington, Virginia, and upcoming, a new production of Hansel and Gretel (Virginia Opera). 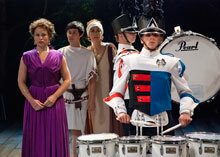 Recently at Caramoor Music Festival, Carey designed scenery and costumes for the gala summer season opener H.M.S. Pinafore. In the New York area he has created costumes for such companies as New York Musical Theatre Festival, Columbia Stages, One Year Lease, Greenwich Music Festival and New York University Tisch School of the Arts at the Atlantic Acting School. His further regional credits include Yale Repertory Theatre, Amphibian in Ft. Worth and Williamstown Theatre Festival Workshop. Paul Peterson (Sound Design) has designed over 90 productions at The Old Globe, including Engaging Shaw, Life of Riley, Rafta, Rafta…, Plaid Tidings – A Special Holiday Edition of Forever Plaid, Welcome to Arroyo’s, Brighton Beach Memoirs, Broadway Bound, The Last Romance, Boeing-Boeing, Alive and Well, Lost in Yonkers, I Do! I Do!, The Savannah Disputation, The Mystery of Irma Vep, Cornelia, The Price, Kingdom, Six Degrees of Separation, Since Africa, The Women, Sight Unseen, The Pleasure of His Company, Dr. Seuss’ How the Grinch Stole Christmas!, Bell, Book and Candle, Who’s Afraid of Virginia Woolf?, Two Trains Running, Hold Please, Restoration Comedy, Pig Farm, The Sisters Rosensweig, Trying, Moonlight and Magnolias, Vincent in Brixton, I Just Stopped By to See the Man, Lucky Duck, The Intelligent Design of Jenny Chow, Blue/Orange, Time Flies, Pentecost, Compleat Female Stage Beauty, The Boswell Sisters and Crumbs from the Table of Joy. His regional credits include designs for Milwaukee Repertory Theater, San Jose Repertory Theatre, CENTERSTAGE, La Jolla Playhouse, Sledgehammer Theatre (Associate Artist), Mo’olelo Performing Arts Company, The Wilma Theater, L.A. Theatre Works, San Diego Repertory Theatre, Florida Studio Theatre, Lorraine Hansberry Theatre, North Coast Repertory Theatre, Diversionary Theatre, Cape Fear Regional Theatre, Hope Summer Repertory Theatre, Malashock Dance, University of San Diego, San Diego State University and Freud Playhouse at UCLA. Evangeline Rose Whitlock (Stage Manager) lives and works professionally in San Diego. Her regional credits include Engaging Shaw (The Old Globe), Limelight: The Story of Charlie Chaplin, HOOVER COMES ALIVE! and A Dram of Drummhicit (La Jolla Playhouse) and What is the Cause of Thunder? 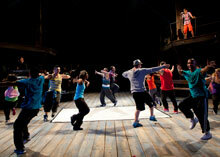 (Williamstown Theatre Festival). Her dance credits include Eveoke Dance Theatre, Malashock Dance and Grand Rapids Ballet Company. Next up, Whitlock will be taking Eveoke’s Las Mariposas on tour to the Dominican Republic. Leighann Enos (Assistant Stage Manager) most recently worked on The Old Globe’s productions of August: Osage County and Twelfth Night (2010 Summer Shakespeare Intensive). Her La Jolla Playhouse credits include Sleeping Beauty Wakes and UC San Diego credits include Space Between, The Threepenny Opera, reasons to be pretty, Everything Nice (Baldwin New Play Festival 2010), La Mandragola and Topdog/Underdog. 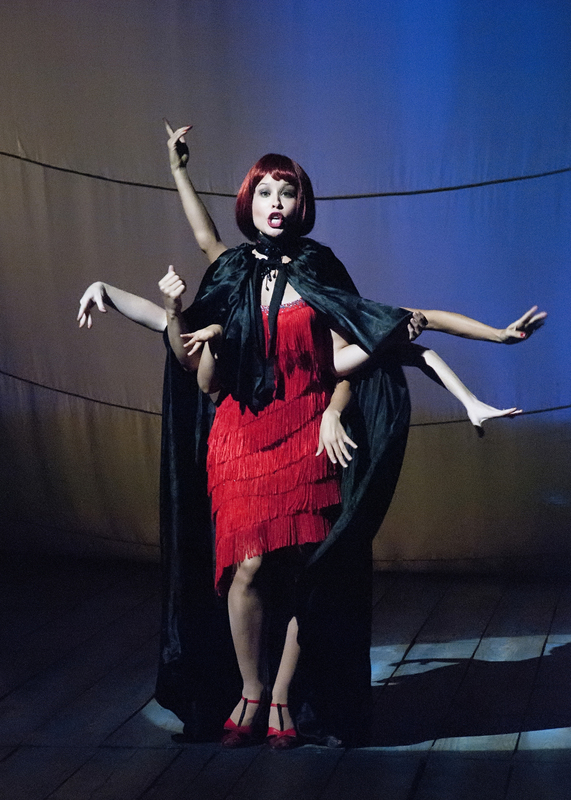 Her University of Florida credits include The Rocky Horror Show, The Lion, the Witch and the Wardrobe, The Mikado, West Side Story and La Traviata. She has also worked on the World Premiere of Magnolia and the Chicago premiere of Rock ‘n’ Roll (Goodman Theatre) and the World Premiere of Arrow to the Heart (Vox Nova Theatre Company). Ms. Enos is a third-year M.F.A. stage management student at UC San Diego and holds a B.A. from the University of Florida.